You need to introspect in terms of relationships and If your partner really knows you and cares for you, they’ll give you this time – with their blessings. If not, you may need to add that to the list of matters to consider about your relationship. It’s time to separate the person you are now from the person you once were. Over the next month, try to spend some time on your own, deciding exactly who and what you want to be when it’s done. And don’t hang on desperately to what’s in your life now. Let go and allow the universe to begin its work. Embrace this change, and don’t be afraid. Magic is in the air, thanks to the appearance of The Star. You will experience the kind of fate that’s on your side. Don’t waste this wonderful opportunity and start working on it now. If you need something, ask the Universe for it – and do be specific. When any of us cares for someone, we want to make them happy. If we’re involved with someone who’s willing to play on our generosity and kindness, they’ll see those traits as weaknesses, not strengths. Resist being exploited. Someone may try to take advantage of your good nature and will. For the first time in a long while, things have started to become “clear”. So if you feel like clearing away things even some relationships that mean a lot to you, thanks to Justice, you’ll now understand that it’s time, and that whatever needs to be done is what you’ll have the strength and courage to do. We’ve all seen people we love pull back from us to spend time alone – to think things through and rely on their own counsel and instincts, rather than on that of anyone else’s. It’s time for you to do just that. Don’t worry about losing your friends or those closest to you. After you’ve come up with your own answers to pressing questions, you’ll be back, renewed and revitalized. 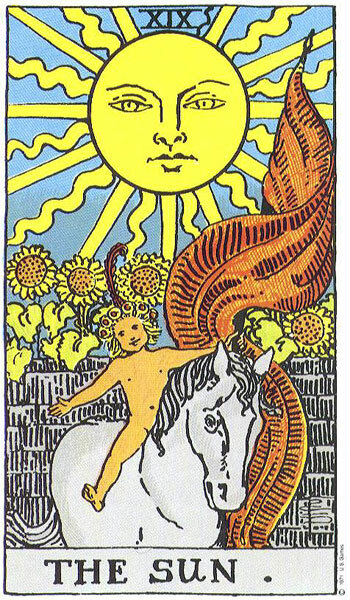 The card of Judgement indicates the ending of many aspects – the happy ending, that is. First of all, and most important to you, will be the fact that you’ll actually be ready to come together with “an other” to find your perfect match – the kind of person that you deserve. Don’t be doubtful, or worry that they’re not quite right. Trust your instincts and know that your long trek is over. Towards the end of the month, you’ll notice an inner change occurring. You’ll suddenly be far more concerned with the future and with the “real meaning” of things than with anything petty, shallow or having to do with surface matters. Surround yourself with people who are kindred spirits, who share your feelings. If you need to find new peers, search them out where you know they’ll gather. It’s all too easy to talk someone into doing exactly what you want them to do. It’s a given that you’ll get exactly what you want from them – you’re quite powerful now. The question, however, is this: Do you want what you want so much that you’re willing to lose your principles to have it? Think that over before you begin manipulating someone whose respect you really cherish. When the card of Judgement appears in the arena of career, it’s time for you to either start or end a new way of earning your money. The only thing is, you’ll need to be sure you’re ready to start this entirely new beginning without any regrets. If you go into it without any reservations, you’ll do fine. The card of Death isn’t nearly as threatening as it sounds. In fact, it indicates a huge change and when it finally happens, it’s usually a wonderful relief. Over the next month, then, when whatever you’ve been worried about – and more importantly, what you’ve been feeling bogged down by – finally happens, don’t despair. Celebrate! It’s time for a whole new chapter in your life. It’s time for you to take on the qualities of introversion, seclusion, and thinking seriously about the reality of a romantic situation. If you’re not happy or satisfied, The Hermit can mean a relationship is about to end, or has really already ended. More so, however, it can indicate a time of increased trust, when two people actually need to allow each other time to be alone, without any unfounded suspicions. When The World appears, you’ve received a very important indication that you’ve done the right thing, been in the right place at the right time, and chosen the right occupation. Of course, you’ll already know all that, by the feelings you have, but also by the happiness and contentment you’re already experiencing within your current occupation. If you’re not satisfied, don’t despair. Something you never expected will come along, when you least expect it. Don’t be afraid to ask for help if you need it, or to speak with someone you trust about a personal problem. Everyone gets a bit befuddled now and then, especially when life tosses brand new experiences our way – and new experiences are The Fool’s specialty. Emotions are a funny thing. They can aid us, acting like “antennae” when we’re uncertain about the outcome of a situation (in the intellectual sense), and end up guiding us toward the most positive outcome. On the other hand, they can sway us, that is, if we let our hearts rule our minds when we really know they shouldn’t. The appearance of The Moon, however, means that it’s your heart you should heed. Trust it above all else. When The Tower appears in our lives in the department of career, it often means that despite how hard we’ve been working, we have little or nothing to say about our future. This may mean that the company we work for has been sold, or will be sold, or that we have no choice but to work for a new employer. The process may not be enjoyable, but you could end up with a far better position. There’s no doubt that your physical health will either improve or stay as robust as ever now. When The Sun appears, it’s hard to avoid either happy condition – and why would you want to? Of course, the one thing you will need to avoid is the tendency to overdo, in all departments, from food and drink to staying up late, chatting with a lover – or soon-to-be lover. Try your best to moderate. The High Priestess is a gentle card, representing the softer, more subtle side of life. You’ll be asked to give and ask for understanding, so if you need to talk with someone, don’t hesitate. Just be sure it’s someone you really trust. If someone asks for advice, dole it out lovingly. If a loved one has done something to offend you, forgive them and let it go, especially if the offense wasn’t intended. When Temperance appears, you can take a deep breath and relax. All your work and career matters will go well, at least partly due to the help of friendly co-workers and superiors who’ll do everything they can to help you, whether or not you ask them for their support. What’s really happening is that all your good deeds from the past are being rewarded. Enjoy the fruits of your previous kindnesses. The Magician is a very intellectual card. It represents the ability to use our own personal brand of wisdom to keep ourselves healthy and happy – on all levels, from the physical to the mental to the spiritual. Your mission this month is to keep yourself strong in all those categories. Take care of your body, your mind, and your spirit in the best ways that you possibly can. Every now and then, we think of someone and suddenly run into them – or the phone rings and there they are. It may be déjà vu, or the force of your thoughts may have conjured them. This is part of what you should come to expect over the coming month, now that The Chariot is dashing through your life. Before you welcome them back into your life, however, find new solutions to old problems. Be Ready for a surprise. You’ll soon find yourself attracted to someone you’d never, ever pictured yourself with. Does that mean it will last forever? When The Fool is in the picture, that really doesn’t matter. What’s important is that you take the new experiences that life tosses your way and have some fun with them! After all, isn’t it time for you to let go and laugh? 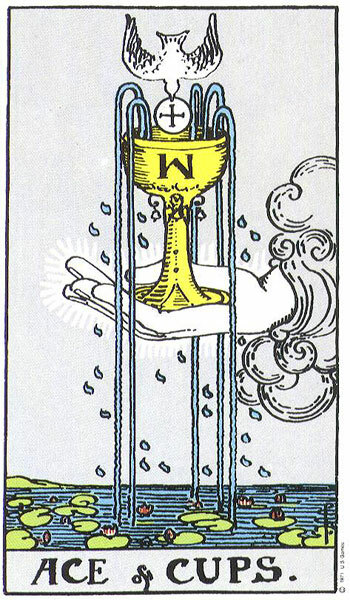 Every time the card of Temperance is mentioned, the word “moderation” is also referred to. They represent the same thing: a state of equilibrium and balance, a condition of harmony with all the people and events in your life. You have no wish to go overboard in any department, anyway. In fact, you’re perfectly happy to cut back on anything at all that’s not making you feel peaceful and calm. If we’re involved with someone who’s willing to play on our generosity and kindness, they’ll see those traits as weaknesses, not strengths. Resist being exploited. Congratulations! The Fool will present a terrific new work opportunity to you this month, which will most likely be in a field you’d never pictured yourself working in. Your mission is to keep your eyes open and be sure not to miss it. Oh, and don’t be put off if this offer comes along under odd or unusual circumstances. Remember, everything happens for a reason. Enjoy this inspirational new experience. You’ve done nothing but listen to the advice of others for a very long time, but that’s all about to come to an end. The Chariot absolutely demands that you find your own path to your destiny, and that you find the quickest and most direct route by your own means. You’ll be guided along the way by signs and subtle messages from the events that happen around you. Pay attention to them. Someone new and quite exciting may be due to make quite the entry into your life – and it will be a grand entry indeed! In fact, you may not know what to do with this fiery, expansive soul. If they sweep you off your feet and it’s just what you’ve been looking for, so much the better! If they seem just a bit too “dangerous” for your liking, then take your time getting to know them. 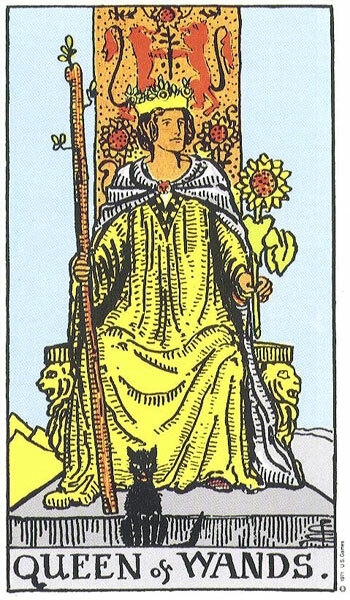 The Empress often turns up when we’re about to start a whole new career or take a step up the ladder of success. If you’ve been thinking of taking a leap, this is definitely the month to do it. Be imaginative, and unafraid to try something new, especially if it will catch the attention of your higher-ups. Your rewards may arrive quite quickly, but a major change in your routine could accompany them. Don’t worry. Over the coming month, if you spend some time alone, you’ll be able to find yourself, in the truest sense of the words. Does that mean that you’ll be able to become everything you’ve ever wanted to be? Well, it might – but that’s a long road, and at the very least, you’ll be certain that you’re off on the right path. Those might seem like shallow words, but do remember that while we’re in the midst of every long journey, we can only see the small steps. Whether you’re single or attached, don’t waste your time frequenting “hot-spots” that are famous for providing loud music or helping people to meet for brief flings. It’s time for you to settle down, so if you’re still looking, go to places where kindred spirits of gentle natures gather. If you’re attached, spend lots of time alone with your one and only. It will bring contentment to both your hearts. For the first time in a long while, it’s suddenly become clear to you: what you really want to “do” with the rest of your life. So from now on, even if you need to clear away some things, and perhaps even some relationships that are dear to you, thanks to Justice, you’ll now understand that it’s time, and that whatever needs to be done is what you’ll have the strength and courage to do. We all know someone who we think of or refer to as a Hermit – someone who, more often than not, seems to prefer their own company to that of others. No matter how sociable you are, then, don’t be surprised if you choose to spend time alone now – much to the disappointment of your friends! Be kind. Explain to them that you need some time alone to think a certain matter through.